Syros is located in the very core of the Cyclades, 83 nautical miles off the Port of Piraeus and 62 nautical miles off the Port of Rafina. It has an overall surface of 84,069 square kilometers. The ferry ride to Syros lasts no longer than 4 hours and less than 3 hours by the modern, faster ferries. Syros is surrounded by the islands of Andros, Tinos, Mykonos, Naxos, and Paros to the east, by the islands of Sifnos, Serifos, Kythnos, and Kea to the west, and by the island of Gyaros to the north. Gazing out on that island cluster from the top of the hill of Ano Syros makes you understand instantly why Syros grew to be the administrative, commercial, intellectual, and cultural hub of the Cyclades. Syros has a population of approximately 20 thousand Greek Orthodox as well as Catholic people. Hermoupolis, its capital city, is known as “The Lady of the Aegean Sea”. 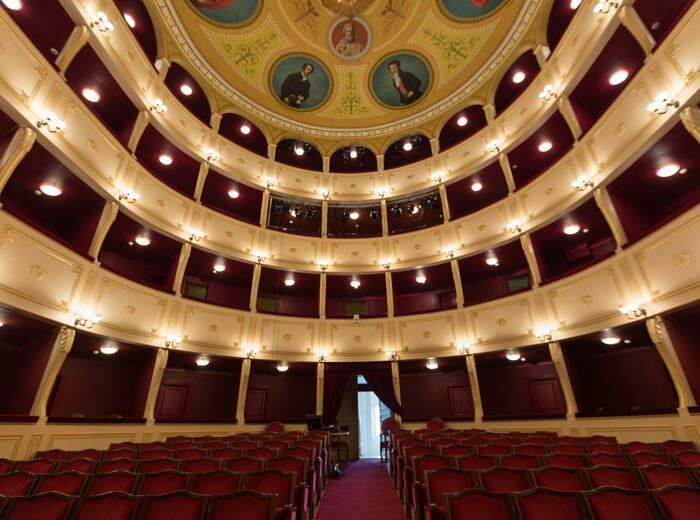 Built amphitheatrically on the hills embracing its port, Hermoupolis will instantly take your breath away with its imposing architectural gems: in all likelihood, it is the only classic city left in Greece. Hermoupolis was born and created within the blaze of the greek revolution in 1821 by refugees to save their lives from the Turkish massacre. Its architecture bears witness to the island’s history and, starting in ancient times, continues to the present. It masterfully combines the old with the new, the classical with the modern. The medieval settlement of Ano Syros, perched on the highest hill above the port, crowned by the church of St. George, the catholic cathedral, on its peak, in unchanged in time. The whole town is a sight for its aegean sea architecture with the narrow roads, low houses and countless steps. Syros’s mountainous northern part is called “Apano Meria”, while the southern part’s flatlands host the majority of the island’s settlements, villages, and beaches. 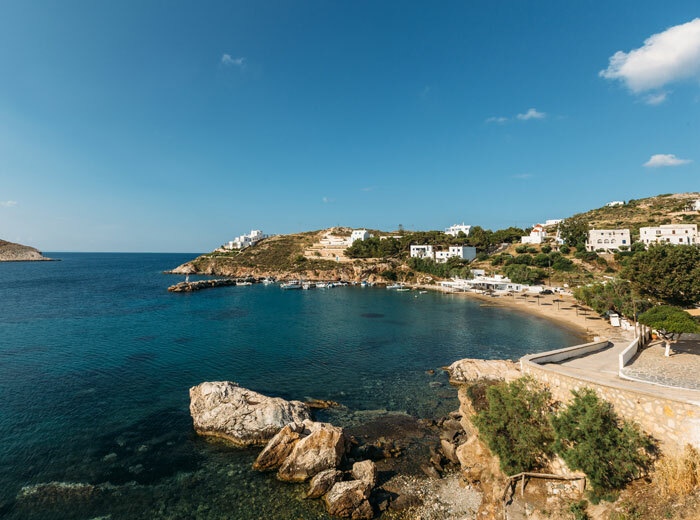 Picturesque and serene, Apano Meria is ideal for exploration: its roads and paths may well be few and far between but they lead curious wanderers to the island’s pristine, hard-to-reach beaches through a stunning rocky landscape dotted with caves and small bridges. In contrast, the island’s southern part is ideal for driving: its paved roads link the villages to one another as well as to Hermoupolis. Its settlements feature a sound, well-developed tourism infrastructure with hotels with modern facilities and beaches offering all amenities.